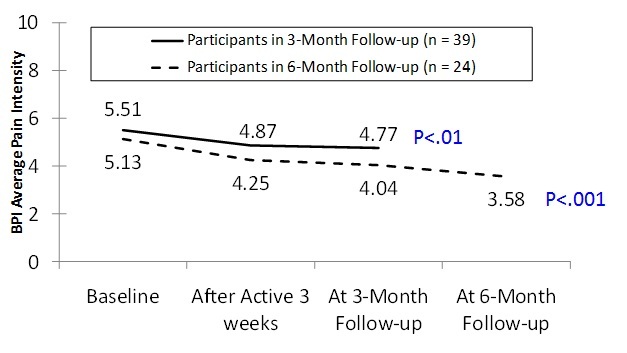 below the level of injury were randomized to receive active or sham CES 1 hour daily for 21 days. A six-month open-label phase was added to assess ‘as-needed’ CES use. Assessments were made of changes in pre- to post-session pain ratings as well as change in pain intensity, pain interference, pain quality, pain beliefs and coping strategies, general physical and mental health status, depressive symptomatology, perceived stress, and anxiety.